Thanks to the success of the Marvel Cinematic Universe (MCU) superheroes are everywhere. I know I have said it before but where were these toys when we were kids? Sure we had G.I. Joes and we could pretend that a particular Joe was Captain America or Thor but there really wasn’t any way to piece together a proper Bat-suit or Iron Man armor for a 12-inch figure. 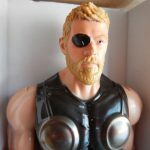 Now kids of all ages can have an action figure of their favorite hero. 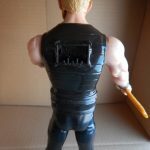 Needless to say you wouldn’t give an expensive 12 inch fully poseable figure to a little kid. Fortunately there is a line of figures for the little ones in your life called the Titan series. 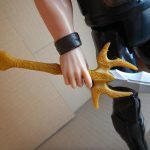 Hasbro released their first figures in the Titan line back in 2013 for G.I. Joe-Retaliation and 6 years later the Titan line spans everything from superheroes to Star Wars. 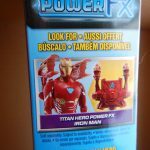 The appeal of the Titan figure line is simple, they are inexpensive. 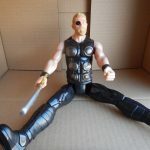 Not only is the price a draw for the figures in the Titan line there is also the lack of small parts and accessories making these figures perfect for younger children. 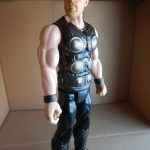 Today we are going to review Thor from The Avengers: Infinity War from the Titan line. 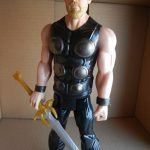 Thor stands approximately 12 inches high and sadly he does not come with his new mammer, Stormbreaker (Mjölnir, Thor’s original hammer was destroyed by Hela in Thor: Ragnarok). 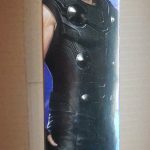 Stormbreaker seems to be a formidable weapon but we didn’t see too much of it in the final battle in The Avengers: Infinity War; maybe we will see Thor wield it more in the next movie: Endgame. 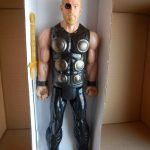 Instead Thor comes with a sword that may be Hofund, the sword that Heimdall uses to open the Bifrost Bridge. 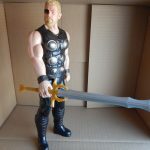 Technically, Thor never wields this sword so it is an interesting choice of accessory. 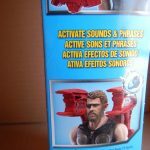 The Titan Hero Series Thor includes a port for the Titan Hero Power FX pack (not included; sold separately with Titan Hero Power FX figures) so when kids connect the pack, they can power up their figure and activate character-specific sounds and phrases from Avengers: Infinity War! 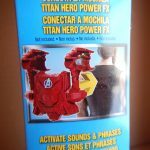 Titan Hero Power FX pack sold with Titan Hero Power FX figures. 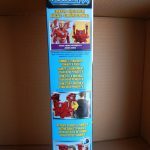 As stated this figure is great for the little one in your life since it is for ages 4 and up. 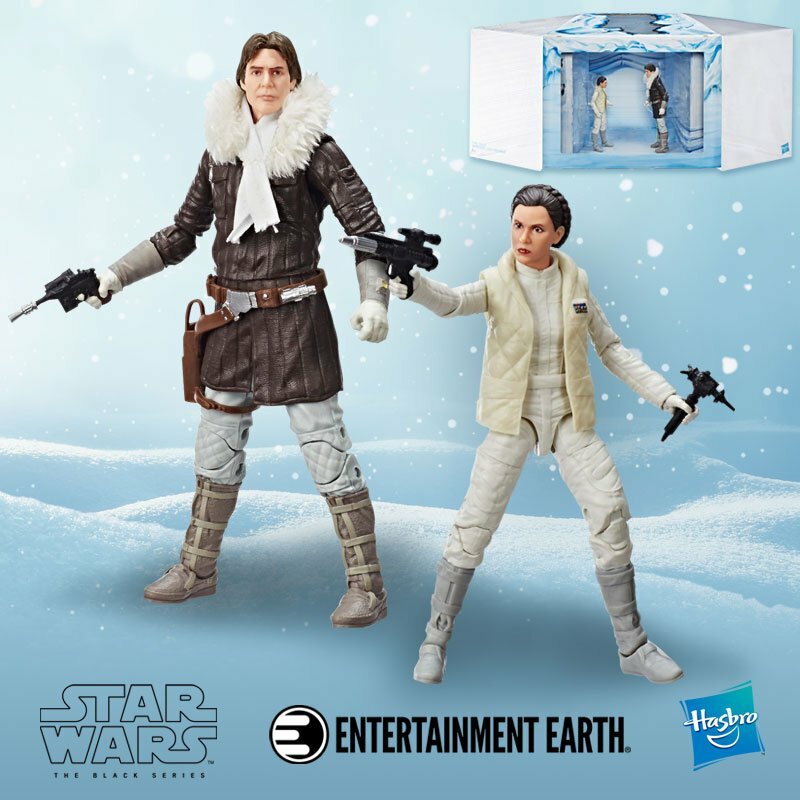 This and other figures in the Titan Series line can be found at Entertainment Earth or your favorite retailer. Suggested retail is $10.99. 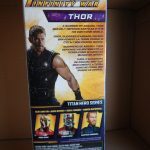 This entry was posted in Equipment and tagged Action Figure, Avengers: Endgame, Avengers: Infinity War, Entertainment Earth, Hasbro, Marvel Cinematic Universe, Mjolnir, Ragnarok, Stormbreaker, Thor, Titan Figure, Titan Hero Line. Bookmark the permalink.